Brooklyn Photographs, featuring Yolanda Andrade, Stephanie Apple, Nelson Bakerman, Leigh Davis, Russell Frederick, Max Kozloff, George Malave, Meryl Meisler, Patrick Pagnano, Sergio Purtell and Larry Racioppo. Presenting images made from the late 1960s to the present day, Brooklyn Photographs illuminates the important role that the photographic medium has had in documenting tradition and change, as well as the extraordinary cultural and social diversity to be found in our borough. Photographers in the exhibition, besides Sergio, include Yolanda Andrade, Stephanie Apple, Nelson Bakerman, Leigh Davis, Russell Frederick, Max Kozloff, George Malave, Meryl Meisler, Patrick Pagnano, and Larry Racioppo. 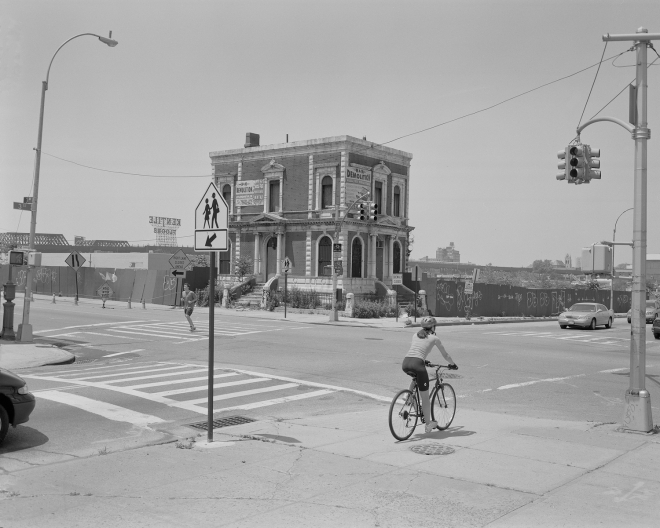 The opening reception for Brooklyn Photographs is Wednesday, September 6, from 7-9 pm. The exhibition will be open to the public free of charge, daily except for Mondays.